Fast-Acting Pain Relief, With Results That Last! Physical Therapy In West Covina, CA is Being Redefined! Revolutionary pain relief treatments that work immediately are available only at Fit N Free Physical Therapy. You will love that it is gentle and very affordable, whether you have insurance or not. Physical Therapy in West Covina, CA is not the same everywhere you go. The Fit N Free PT team is caring and compassionate yet we are the best at what we do. The programs being offered here by our licensed physical therapists range from pain relief to solutions for Neuropathy relief. You’ll find some of the best physical therapists West Covina has to offer, and you’ll find physical therapy services not being offered by other facilities. If you are looking for fast pain relief or to improve the quality of your life, we guarantee you will find the best physical therapists at our facility. Some of the reasons Fit N Free PT is unlike any other lies in our caring staff and revolutionary pain relief procedures. We truly are the experts in relieving pain and improving the quality of life for our patients. Call today and get a free screening to determine if we are the right place for you. Because you have diabetes, your feet have fewer defenses against everyday wear and tear. 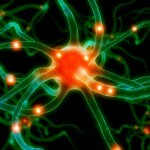 Neuropathy may mean you cannot feel injuries. Reduced blood flow may prevent your injuries from healing properly. Small minor injuries may quickly progress to serious infections. So, IT IS VERY IMPORTANT TO TAKE CARE OF YOUR FEET. 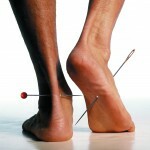 How can you prevent foot infections? 3. Wear proper foot wear – make sure to examine your feet each time you remove your shoes. Watch out for any signs of redness as this means there is too much pressure in an area of your foot. If you are having difficulty finding the right footwear, it is recommended you obtain customized special shoes or inserts made especially for you by an orthotist or podiatrist. Your physician can write you a referral. 1. Color changes – redness with streaks is often a sign of infection. Darkened skin is a sign that tissue has died. 3. 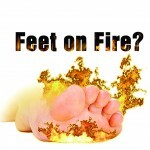 Temperature changes – Coldness in feet are a sign that your feet are not getting enough blood. Excessive warmth may mean infection. 4. 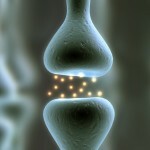 Sensation changes – Pins and needles, numbness, tingling, burning, or lack of feeling may mean nerves are damaged. 6. Cracks, sores and ulcers – caused by dry, irritated skin. These are signs that skin is breaking down, which could lead to ulcers. 7. Ingrown toenails – often caused by tight-fitting shoes or incorrect nail trimming. You may feel swelling, redness or pain in the area. ***EXERCISE YOUR FEET to help the blood flow into and out of your feet.